"Expect to see cybercriminals increasingly scanning social media to find information that can be used against companies and their employees; these attackers leverage the information that they find, and craft highly-effective spear-phishing emails credible enough to trick employees into clicking on URLs to ransomware-delivering websites or into opening ransomware-infected attachments." New York, NY - November 29, 2016 - SecureMySocial, a leading provider of social media security software, is proud to announce that it has been added to the Cybersecurity 500, a global compilation of the 500 leading companies that provide cybersecurity solutions and services. The Cybersecurity 500 includes a wide range of prestigious firms, ranging from the largest and most recognizable brands in the industry, to venture-backed emerging players, to small startups with potentially game-changing technologies, to solution providers poised for growth around productized or vertically focused services. The list is updated and published quarterly by Cybersecurity Ventures, after research that includes continuously looking at thousands of companies, soliciting feedback from CISOs, IT security practitioners, and service providers, and analyzing hundreds of cybersecurity events and news sources. SecureMySocial offers technology that protects businesses and their employees from the risks of inappropriate social media usage. The patented system warns users of social media in real time if they are making posts that could harm themselves or their employers, even if such posts are made from home or from mobile devices. SecureMySocial can also auto-delete problematic posts if so authorized. By offering SecureMySocial to employees, businesses may reduce their exposure to data leaks, spear phishing, bad publicity, human resource issues, lawsuits, and regulatory fines. “Securing social media has moved from a nice-to-have to a must-have for CISOs and IT security professionals at business of all sizes” says Steve Morgan, founder and Editor-In-Chief at Cybersecurity Ventures. “SecureMySocial has an easy-to-use platform that protects enterprises from reputational harm, regulatory violations, legal problems, and other issues that result from employee use – and misuse – of social media. Information security executives should put SecureMySocial on their short list of solutions to look at in this burgeoning category,” adds Morgan. “We are delighted to be recognized as one on the leading cybersecurity firms globally,” said Joseph Steinberg, CEO of SecureMySocial. “SecureMySocial’s patented, game changing technology enables firms to leverage the true power of social media – including having their employees serve as de-facto brand ambassadors – while protecting both businesses and their employees against all sorts of blunders. In addition to protecting against data leaks, reconnaissance done by criminals for the purpose of crafting spear phishing emails, and all sorts of other information-security risks, SecureMySocial can also help stop people from sharing fake news on Facebook, making career-threatening tweets, and posting all sorts of other content that can damage their personal brands and those of their employers. Patented technology warns social media users in real time if they share links to known fake-news sites. New York, NY - November 21, 2016 - SecureMySocial, Inc. announced today that its flagship, eponymous offering now warns users immediately if they try to make social media posts that link to fake news. The problem of fake news being shared on social media – especially on Facebook – has received significant media attention as a result of the widespread dissemination of misinformation during recent presidential campaign, with some people even arguing that fake news contributed to Sec. Hillary Clinton’s loss to President-elect Donald Trump. While some experts have proposed that social media providers censor their users, SecureMySocial’s approach of warning users if they are making inappropriate posts can provide adequate protection without violating people’s right to free speech. The firm’s patented technology operates invisibly to users, and warns them in real time if they are making posts that link to known fake news sites. In some cases, if so authorized by the people who it is protecting, SecureMySocial can even auto-delete such posts. Earlier this year, SecureMySocial was issued U.S. Patent number 9,374,374, entitled “Systems and Methods for Securing Social Media for Users and Businesses and Rewarding for Enhancing Security,” which discloses a robust invention that addresses the growing risk that posts to social media may cause damage to individuals and other entities. The firm, which offers technology to businesses to protect them and their employees against numerous types of social media dangers, has other related patent filings at various stages along the approval process. Inc: Russia Blocks Access to LinkedIn. Are Facebook and Twitter Next? "One simple lesson for everyone - regardless of how the LinkedIn-Russia case plays out: Assume anything that you post on social media is accessible to government agents. Think before you post. And, if possible use technology to warn you if you are posting something that you should not be sharing." 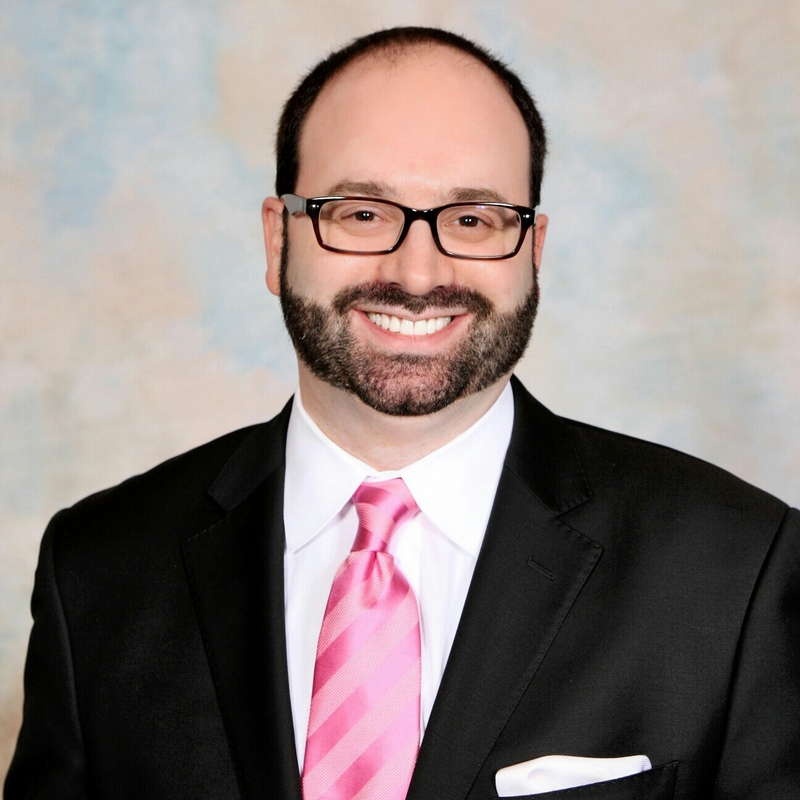 November 10, 2016 - New York, NY - Joseph Steinberg, Chief Executive Officer of SecureMySocial and respected cybersecurity thought leader, has been named to the Board of Advisors of Cybersecurity Ventures, a leading research firm in the cybersecurity industry. Steinberg, who has worked in the information security field for nearly two decades, has also served as CEO of Green Armor Solutions, and as a Director at Whale Communications (acquired by Microsoft). He has invented various information security technologies in use today, written hundreds of articles on cybersecurity-related topics as a regular columnist at Forbes and Inc. magazines, and has been calculated to be among the top three online influencers worldwide in the information-security industry. Steinberg joins a board of peers with extensive and varied cybersecurity industry experience, including John McAfee, Founder of McAfee Associates, Robert Herjavec, Founder & CEO of Herjavec Group, and Michelle Finneran Dennedy, Chief Privacy Officer and Vice President at Cisco. The board provides advice and feedback to Cybersecurity Ventures and its Founder and CEO, Steve Morgan. "We are delighted to have Joseph Steinberg join our Board of Advisors" said Morgan. "Joseph is one of the most talented cybersecurity practitioners and writers in our field, and he brings intimate hands-on experience in multiple areas of information security including securing social media for businesses and consumers -- an under-served, under-protected, and huge growth sector that has been overlooked for far too long. CISOs and IT security professionals are just waking up to the potential reputational harm, data leaks, and other risks their employers face as a result of social media misuse, exploits, and hacks. Joseph will be a great resource to Cybersecurity Ventures, especially as we begin examining and reporting on social media security." “As technology has become the great enabler of advancement for businesses, governments, and societies, cybersecurity has become a fundamental ingredient for success, and at times, even for survival. As new risks evolve with the advent of new technologies, access to up-to-date information on related developments and trends – as is provided by Cybersecurity Ventures – is critically important,” said Steinberg. "I am honored and excited to join the team of expert advisors at Cybersecurity Ventures, and look forward to sharing my experience and perspectives to help make the world a more cyber-secure environment." "A security industry expert says CISOs should be responsible for cyber defending the social media accounts belonging to employees at their organizations... and they should be doing it now." Simplillearn, one of the world's largest providers of online training and professional certification courses, today announced that Cyber Security Expert, Joseph Steinberg, has joined the company as an Advisory Board member. A veteran executive in the IT security industry, Steinberg will contribute his expertise towards the rapid growth of Simplilearn’s Information (IT) Security category and courses. "In addition to protecting against hackers, however, you need to guard against scammers who target social media users. Here are eight ways to avoid scams on social media..."
"Recent security and privacy-related revelations about Facebook should concern every Facebook user. Here is what you need to know - and how to protect yourself..."
June 28, 2016 – New York, NY – SecureMySocial, Inc. announced today the issuance to it by the U.S. Patent and Trademark Office of a patent that covers various aspects of social media security. U.S. Patent number 9,374,374, entitled “Systems and Methods for Securing Social Media for Users and Businesses and Rewarding for Enhancing Security,” discloses a robust invention that addresses the growing risk that information posted to social media may cause damage to individuals and other entities. How should one protect his or her Twitter account (and other social media accounts) from being compromised? "Utilize social media alerts - people using SecureMySocial, for example, would receive alerts if inappropriate tweets were issued from their accounts (the tweets would even be automatically deleted if the alert system is so configured) - so they would know immediately that their accounts had been hijacked and be able to react far faster than otherwise." Sharing what you’re doing, where you’re doing it and whom you’re doing it with is a common practice for individuals and businesses on social media. Businesses don’t have the choices people do -- not when an online presence is a standard expectation. But as businesses grow and maintain various social media accounts, security becomes increasingly difficult to control. "'This terrible tragedy is a reminder that when you’re sharing information online, that information can be shared with people who have bad intentions,' said Steinberg, CEO of SecureMySocial, a tech company that warns businesses and individuals in real time if their social posts are inappropriate or if they increase their vulnerability." In this article, SecureMySocial's CEO, Joseph Steinberg, discusses how employees oversharing on social media can help criminals steal highly confidential data from businesses. Security technology has improved quite a bit over the two decades since the commercialization of the Internet, but we are still using human brain version 1.0," said Steinberg, CEO of SecureMySocial. "Making things worse in recent years is social media, which gives criminals plenty of information to help them craft highly effective phishing emails." "Devise, implement, and enforce proper social media policies. Inappropriate social media posts can cause many problems, and often open the door for criminals to inflict terrible damage. Information overshared by employees has helped criminals craft highly-effective spear phishing emails used to trick other employees into installing malware, otherwise opening up organizations for data breaches. Problematic social media posts can also leak sensitive information, violating HIPAA and other compliance rules. Implement technology to ensure social media does not become a nightmare, whether employees use social media from work, home, or mobile devices..."
Data Loss Prevention to combat social media information leaks; anytime, anywhere. THEALE, England & NEW YORK-- February 18, 2016 --Clearswift, a global cyber security innovator and data loss prevention specialist, and SecureMySocial, provider of the world’s first comprehensive social media information-leak-prevention technology, today announced a joint offering that will enable businesses to protect critical information from threats regardless of employees’ locations or the medium used for communication. With the new joint offering, information leaks can be prevented whether employees try to send out sensitive data via email, by posting on social media, or some other means. Data loss and information leaks can severely harm a business. Employees accidentally emailing out confidential documents, inadvertently posting sensitive information on social media, or intentionally removing proprietary data are a big risk to organizations. Various incidents have caused businesses to lose deals to competitors, be fined by government bodies and sued in court, be hit with public-relations nightmares and damaged reputations, and suffer other serious consequences. Some firms have even suffered severe breaches after hackers exploited information overshared by employees on social media to craft spear phishing emails that ultimately undermined organizational information-security defenses. Together, Clearswift and SecureMySocial deliver the benefit of comprehensive, adaptive data loss prevention. The combined, fully automated solution is achieved without impacting the high performance and optimized application delivery expected on mission critical systems. The new partnership allows Clearswift and SecureMySocial to provide a highly scalable secure application platform, taking full advantage of Clearswift’s unique Adaptive Redaction technology, as well as SecureMySocial’s social media security capabilities. Additionally, the combined offering enables the user to proactively detect and mitigate information loss risks, alerting organizations to potential internal or external data breaches; immediately. “Data loss risks are growing along with various demographic shifts – including the entering into the workforce of a generation accustomed to oversharing, and the emergence of social media as a primary medium for providing and receiving information – trends that together are causing the risk of serious data leaks to increase with time. It is imperative that businesses secure themselves with comprehensive and adaptive data loss prevention technologies so that they do not suffer potentially devastating damage from leaks occurring on some unprotected platform. The combined power of Clearswift and SecureMySocial delivers the necessary security and peace of mind,” said Joseph Steinberg, CEO of SecureMySocial. For more information visit Clearswift.com. "Throw a stone at a crowd of millennials and you are bound to hit at least one who has gotten into hot water due to some social media faux pas. While most cases are generally stupid off the cuff comments, posting on Facebook and Twitter can sometimes have wider effects than the poster may have imagined..."
Business.com interviews SecureMySocial Founder and CEO, Joseph Steinberg, about his latest venture, and about his views on various hot topics in cybersecurity.